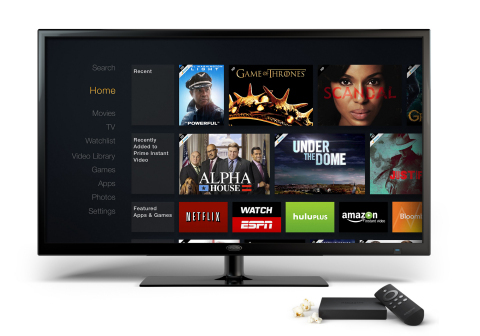 Amazon is preparing a launch of its new Fire TV streaming set-top box in Europe. The Luxembourg-based European HQ of the company has filed a request for registration of the trade name Fire with the Office for Harmonisation in the Internal Market (OHIM). Amazon launched Fire TV in the US as a competitor to Apple TV and Roku. Priced at $99 (€72), the device gives access to a multitude of services including Netflix, Prime Instant Video, Hulu Plus, WatchESPN, and Showtime. With the US launch, Amazon did not disclose any details about future launches outside the US.